FJMC appreciates the gratitude of our regions, clubs and patrons who generously support our 2019 Biennial Convention through the Tribute Journal. 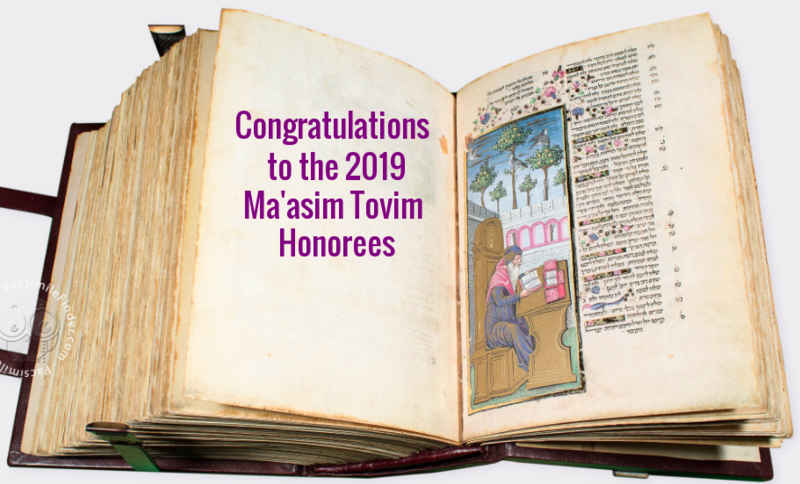 Whether it is to honor a Regional Ma'asim Tovim Honoree, the incoming or outgoing Regional Leadership, the incoming or outgoing International President or officer, or to thank, publicly, a mentor which has helped you become a better leader, click on the image of the book above or the button at the bottom to place your Tribute, or click here. Regional Officers: Please download the Tribute Journal Solicitation Letter Template and update it for your Region's 2018 Ma'asim Tovim Honoree. We ask that you send this letter to each of your clubs and officers requesting their participation in this campaign to honor their regional leader and colleague. Platinum Sponsor – Platinum tribute page in our Tribute Journal. Highest level of recognition at convention. Platinum Sponsor tributes are a full page in size and will be at the front of the Tributes and specially formatted. Gold Sponsor – Gold tribute page in our Tribute Journal. Enhanced recognition at convention. Gold Sponsor tributes are a full page in size and will be after the Platinum Tributes and specially formatted. Purple Sponsor – Purple tribute page in our Tribute Journal. Enhanced recognition at convention, Honoring incoming International FJMC President Tom Sudow. Purple tributes are a full page in size and will be after the Gold Tributes and specially formatted. Silver Sponsor – Silver tribute page in our Tribute Journal. Silver tributes are a full page in size and will be after the Purple Tributes and specially formatted. Bronze Sponsor – Bronze tribute page in our Tribute Journal. Bronze tributes are a full page in size (approximately 7.5" W x 10" H).